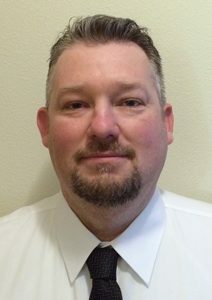 Kevin McCreedy has been appointed division manager for the Gulf Coast region of Degesch America Inc. (DAI). In his new position, McCreedy will oversee the day-to-day operations of the Houston and Gulf divisions. McCreedy is a native of Sacramento, Calif., with more than a decade of experience in the fumigation industry. He attended California State University of Sacramento, after which he worked in retail management for 18 years. During this time, he relocated to the Pacific Northwest, eventually changing careers and accepting a position at Dico Pacific Fumigation. When Dico Pacific was acquired by DAI in 2011, McCreedy joined the Columbia River Division (CRD), based in Portland, Ore. Prior to his current appointment, McCreedy served as the CRD Operations Coordinator. He is based in Houston. “McCreedy has participated in many phosphine, methyl bromide and sulfuryl fluoride fumigations of mills, containers, silos, ships, warehouses, railcars and food plants, and will bring this experience to his new position,” the company said in a press release. 1 Comment on "DAI names McCreedy Gulf Coast manager"